Do you miss the plush and consistent feel of a coil spring fork? Are you worried about having your riding day cut short by a blown seal? Is it a nuisance to have to check your air pressure in your constantly? If you answered 'yes' to any of those questions, Race Tech has a solution to your air fork frustrations! 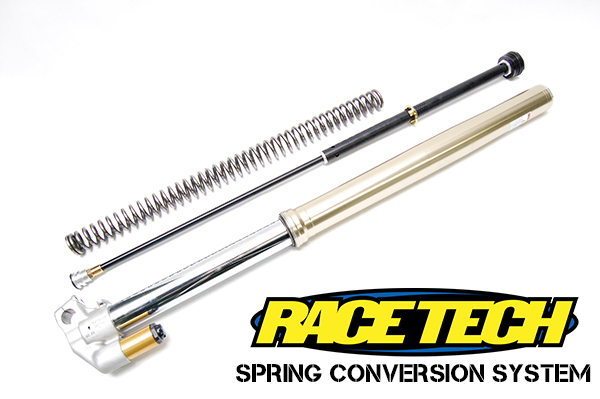 The Race Tech Spring Conversion System (SCS) is available for the Showa TAC, KYB PSF2, and WP AER Forks to convert your air spring to a coil spring. For the many riders out there not wanting to deal with checking air pressures, the Race Tech SCS is a set it and forget it solution. The Race Tech SCS is designed to transform your forks into an SFF style coil spring fork. Select the proper rate RT Hi-Performance Spring (sold separately) to compliment your RT Spring Conversion System and you're ready to hit the track without having to check pressures before each ride any longer! 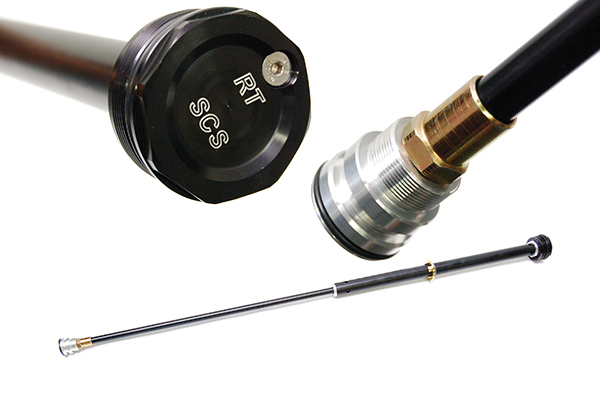 The RT Spring Conversion Kit for the KYB PSF2 forks requires a revalve when installing the kit.